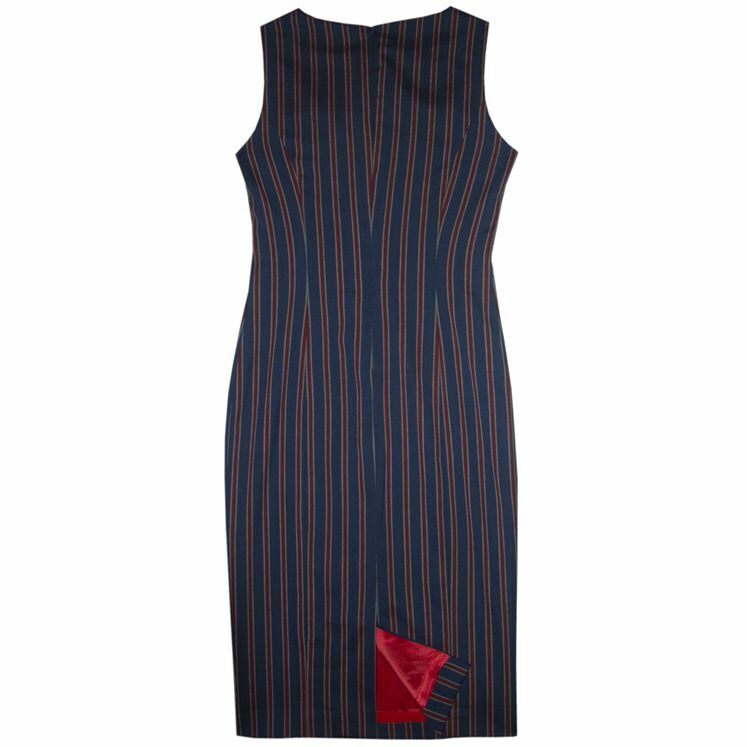 Tailored shift dress in a red deckchair stripe. Dress is sleeveless with a panelled front and centre back vent. 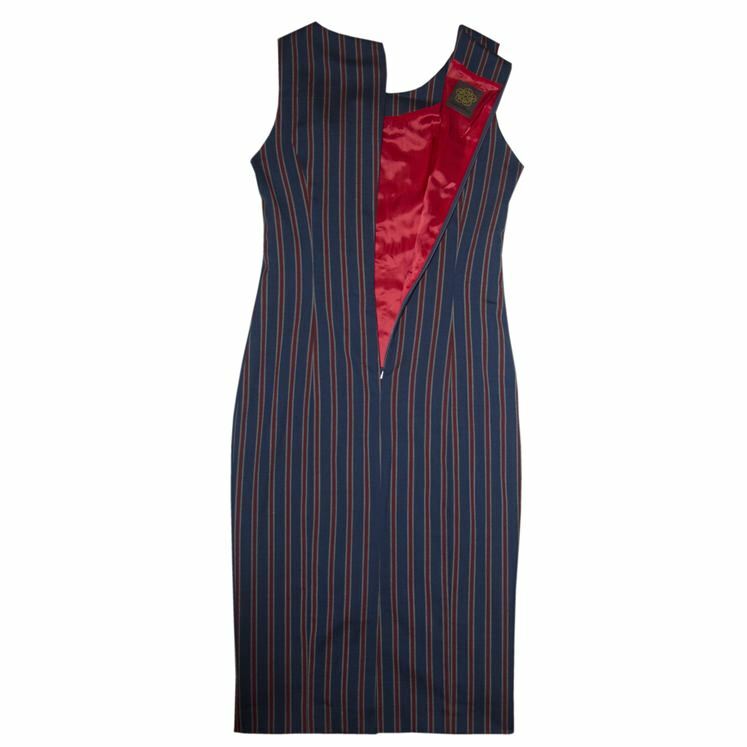 This dress is shortened to your required length on request - just add a note at the checkout and we will call you prior to dispatch. 55% wool 43% polyester 2% elastane. Dry clean.